38% of Amazon shoppers prefer it to other retailers because of its selection of product, compared to only 25% that are enticed by free shipping. Amazon is not just a sales channel - it is where shoppers learn about products to inform buying decisions online or in store. Brands need to see Amazon as an extension of merchandising efforts and optimize product information to fit the needs of the digital shopper. Is your brand ready to tackle Amazon’s digital shelf with precision? 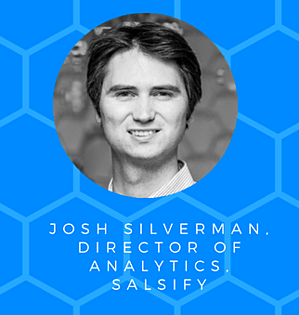 Our Director of Analytics, Josh Silverman recently participated in a webinar with industry experts from CPC Strategy and MarketTrack on “Unpacking Amazon’s Digital Shelf Space: Amazon’s Organic Ranking Battleground for Increased Visibility & Sales” to take a deeper dive into the A9 algorithm and help brands and manufacturers focus their content efforts to increase their presence on the retail giant. 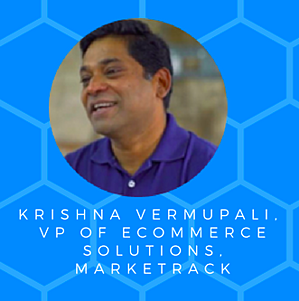 Don’t have time to listen?, We’ve got the most important takeaways from CPC Strategy, MarketTrack and Salsify. Product Content is the new packaging. Shoppers are using search to find what they are interested in and if your brand is not presenting product information that catches their interest, you will lose that conversion. With consumers increasingly using search to influence their purchases in store in addition to nline, brands need to change their mindset to seeing product content on the digital shelf is as important as how a product stands out in its packaging in a traditional retail environment. your brand for voice navigation. Make sure the core keywords for your products are optimized within the title and feature bullets. A best practice formula for product titles is “[Brand Name]-[Product Type]-[Feature]-[Size, etc].” As Tanya and her co-presenter Nancy-Lee McLaughlin, Manager of Marketplace Strategy suggested, this formula captures customers who are brand loyal, customers who are in the awareness stage and helps overall with search across Amazon and search engines. The best brand manufactures identify the most important SKUs in their catalog and allocate merchandising efforts to these to strengthen customer experiences on Amazon and across their digital ecosystem to capture audiences. Amazon’s Head of Global Ad Sales & Marketing has said “product pages and images are “brand marketing vehicles,” brands need to focus on creating product pages that will drive conversions with best in class content. Amazon puts the consumer first -- and it expects brands to deliver product experiences meet the evolving requirements consumers demand. Winning on Amazon is multi-layered and requires brands to maximize every part of the buyer’s journey with content and messaging. By listening to this webinar, you will learn more about the measuring digital shelf KPIs, the A9 algorithm, and the impact of paid promotion in increasing search rank.